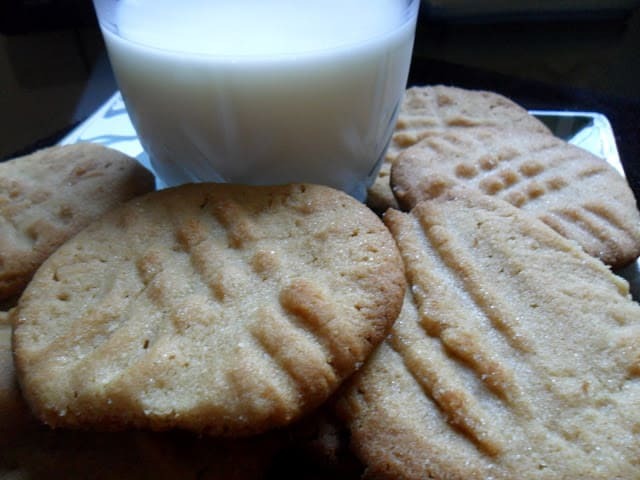 Old Fashioned Peanut Butter Cookies are an old fashioned, classic cookie. I think peanut butter cookies have become a favorite of mom’s and kids alike not only because they’re delicious but also because if you have kids, you have peanut butter. 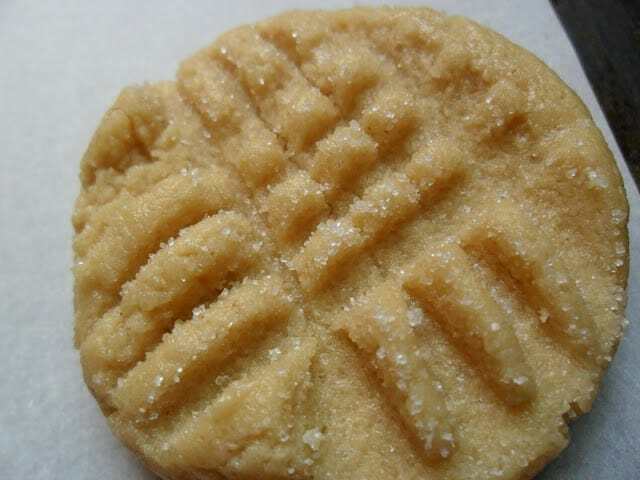 Peanut butter cookies are fast and easy to prepare. Not only that, they’re pretty affordable to make too. To make peanut butter cookies even better, add a bag of chocolate chips or peanut butter chips. When my kids were in grade school, I would make them peanut butter cookies…in honor of their first day back to school. Here is a quick peek into what it was like when they came home from their first day back from school. After school, in the back door they ran. Wearing their new school clothes, now wrinkled and rumpled with the smell of school still lingering on them. Their feet would be sore from the blisters their new shoes gave them. They would be talking non-stop, about their first day back at school. Dropping their backpacks to the floor with a thump, running down the hallway to their bedrooms. Returning just a few seconds later, having changed back into their shorts and flip flops, not yet ready to let go of summer. Both kids asking me at the same time, if they could go to a friends house, to talk some more about school. Not waiting for an answer, they would grab a handful of peanut butter cookies, turn around and run back out the door. I could hear them yelling as they hopped on their bikes and headed down the driveway, “Thanks Mom,” and down the street they went. I would stand in the driveway waving back with a smile on my face, thinking that Houdini would be proud of how fast they escaped. I didn’t know at that time just how much I would miss those days, days that I thought would last forever. Days that I thought would never end and days that I thought time would stand still for. 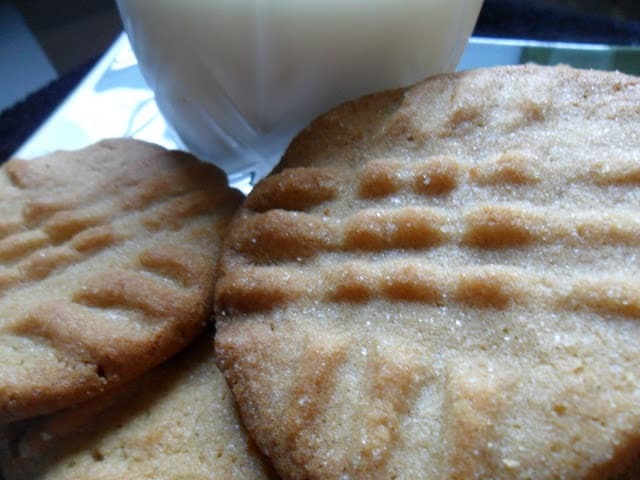 Old Fashioned Peanut Butter Cookies are in honor of those wonderful school days gone by. Looking for more sweet treats? We like these..
Mini Minty Cheesecake Brownie Cups and Cranberry Lemon Shortbread Cookies and Rocky Road Fudge. 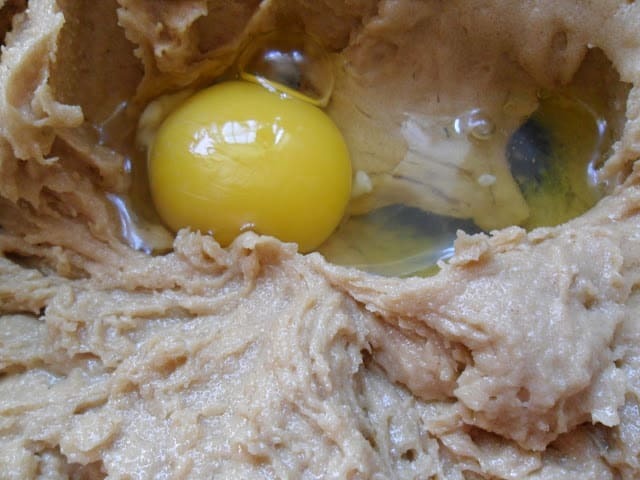 In a large bowl beat butter for 30 seconds. 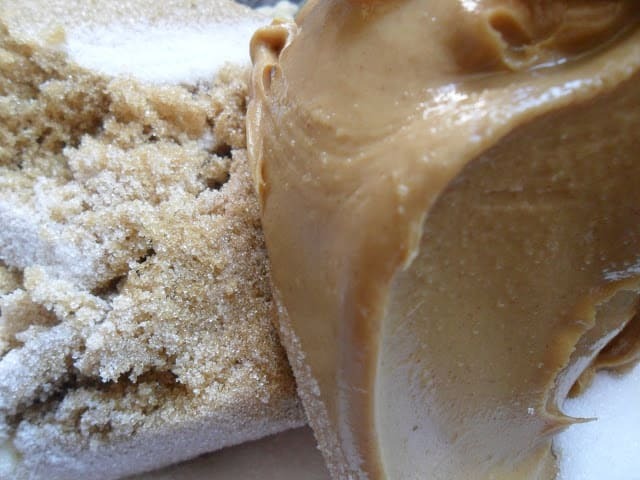 Add peanut butter and sugars, beat until fluffy. Add eggs and vanilla, beat well. 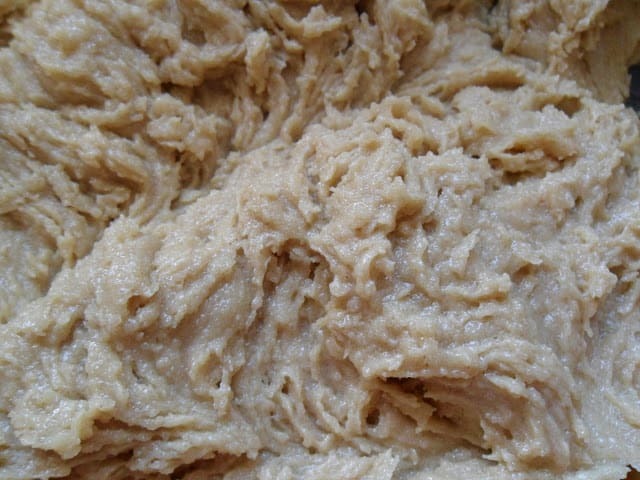 Add dry ingredients to creamed mixture, mix until well combined. stir in chips if using. 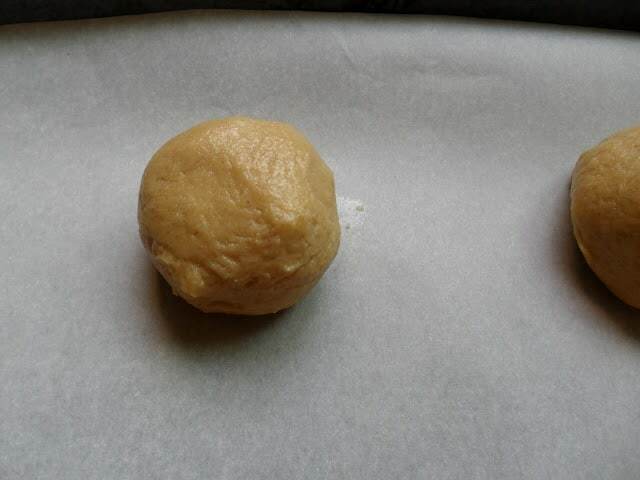 Shape dough into 1 inch balls, roll in granulated sugar. Place 2 inches apart on a ungreased cookie sheet, crisscross top with the tines of a fork dipped in sugar. Bake at 375º for 10 minutes. Pink Squirrel Cupcakes A Classic is a cupcake recipe reminiscent of that classic ice cream drink, the Pink Squirrel. 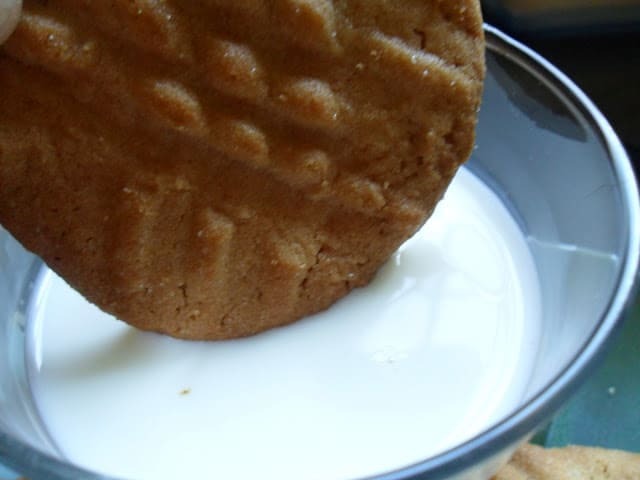 Hi Lynn, I love the old fashion peanut butter cookies and the lovely story. I'll be sharing this on my FB page tomorrow. Thanks for sharing this with Foodie Friends Friday's 'recipes that tell a story' Party this week. Where does the allspice come in?